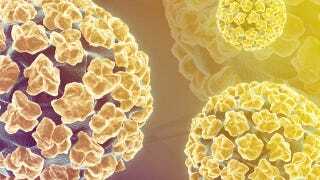 The FDA has approved a new test for HPV, which detects risk of cervical cancer even when a pap smear comes out normal. The test is a major advancement to the standard smear test after trials found the cobas test spotted one out of ten women who actually had cervical pre-cancer after smear tests indicated they were healthy. Also, in contrast to other automated tests, the cobas test can find whether a woman carries either of the two genotypes of HPV that are responsible for about 70% of all cervical cancer cases, thus saving costs and time for patients, Mr. O'Day said. One out of ten is a scarily high figure for women who are already in the group getting pap smears. And the Telegraph suggested last year, based on one doctor's interview, that the incidence of missing the signs of cancer on a pap smear are even higher: "The test picks up almost all cancer cases, while smear tests fail to detect up to one in three. Patients may need to be rescreened only every five years." Because cervical cancer tends to be detected later, it's more deadly than other cancers. It's not clear how much the test will cost in the U.S. — The Telegraph claimed it would be £15 a pop in the UK — but we all know things tend to work a bit differently stateside. According to the CDC, "Approximately 20 million Americans are currently infected with HPV. Another 6 million people become newly infected each year. HPV is so common that at least 50% of sexually active men and women get it at some point in their lives." Most people's immune systems get rid of the virus within two years. Each year, about 12,000 women get cervical cancer in the U.S.